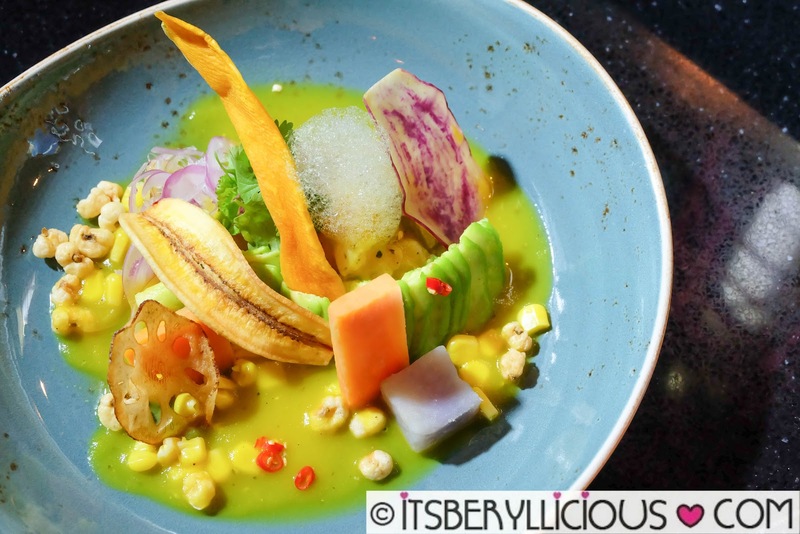 Nikkei is a fusion of Japanese food made with Peruvian ingredients and cooking techniques. 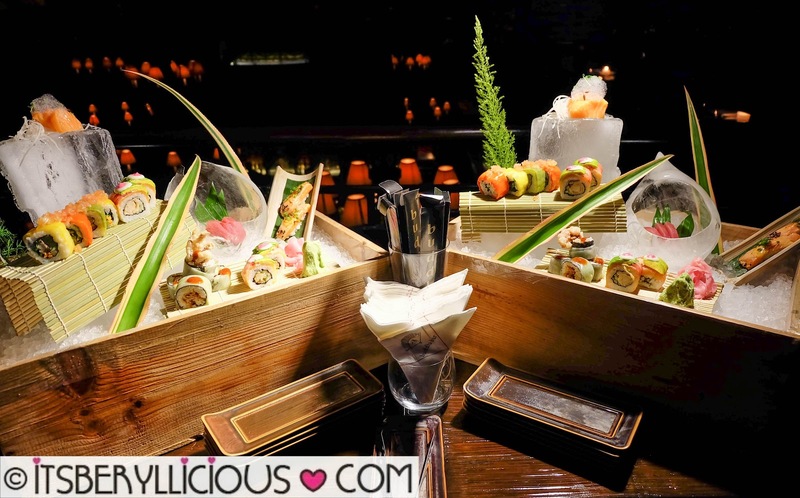 The unique combination of flavors has recently become one of the most sought after cuisine in many top cities and restaurants all over the world. 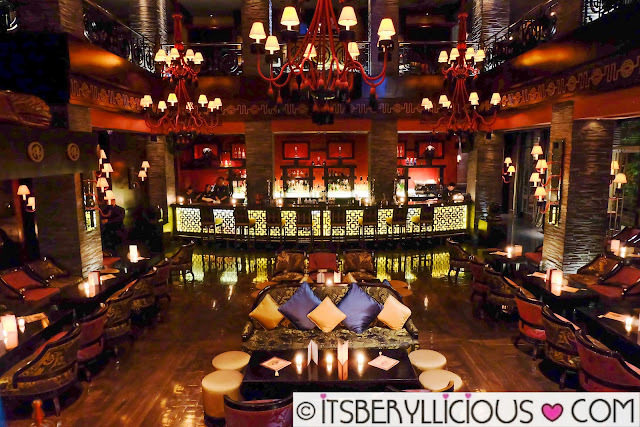 From May 19- June 17, Buddha Bar Manila lets us experience world-class dining featuring the unique flavors of Nikkei cuisine, especially prepared by internationally renowned Chef Shigeki Iimura. 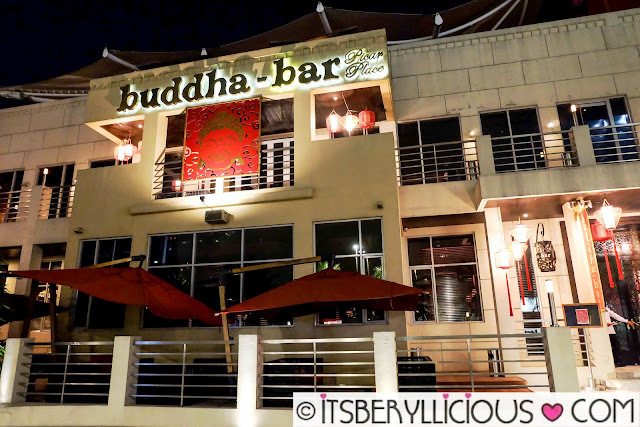 Chef Shigeki is currently the executive chef of Buddha-Bar International. We were able to sample some of Chef Shigeki's creations during an intimate meet and greet last weekend. 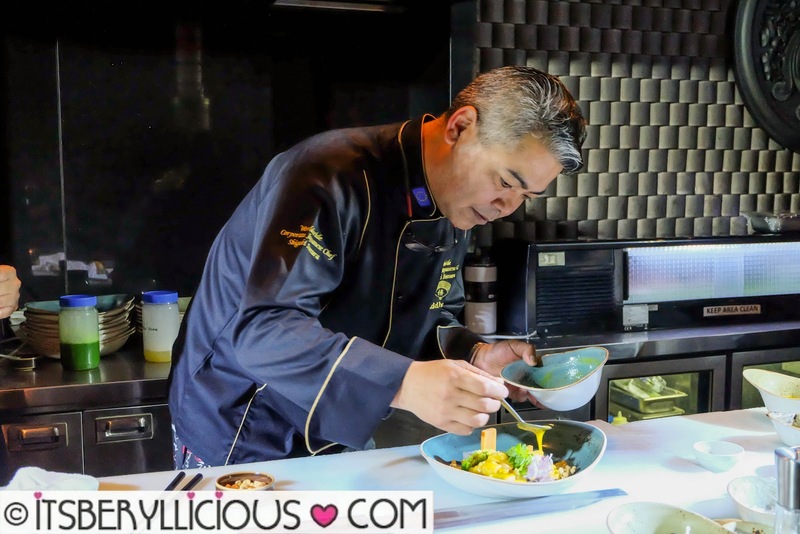 Everyone got front row seats to watch Chef Shigeki live in action, as he showed his skills and creative flair at whipping up colorful and mouthwatering dishes. The special menu features sumptuous dishes such as this White Fish Ceviche (P340)- freshly sliced lapu-lapu tossed in tiger's milk or "leche de tigre", an important ingredient in Peruvian ceviche. 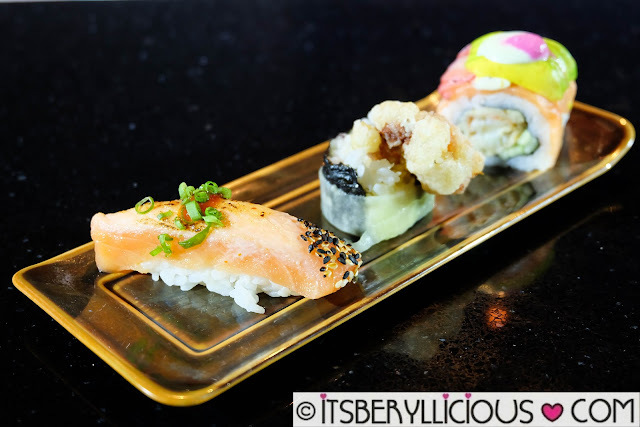 The ceviche is also available in Seared Salmon and Aji Tuna. 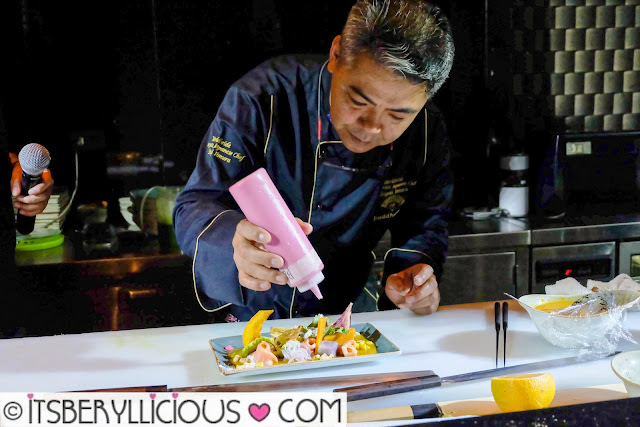 Next, Chef Shigeki prepared the Salmon Tiradito with Orange Aji Amarillo (P360). 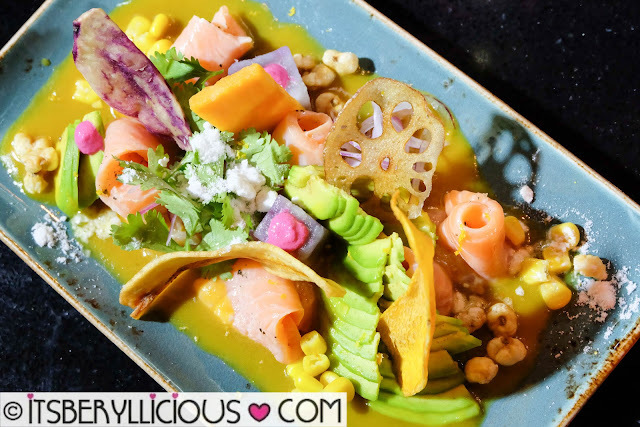 It consists of the same ingredients and garnish as the ceviche, but this time, it highlights the tender slices of salmon sashimi, flavored with Aji Amarillo or spicy yellow peppers with a hint of citrus orange. This dish features tender slices of lapu-lapu with mushrooms and basil inside. 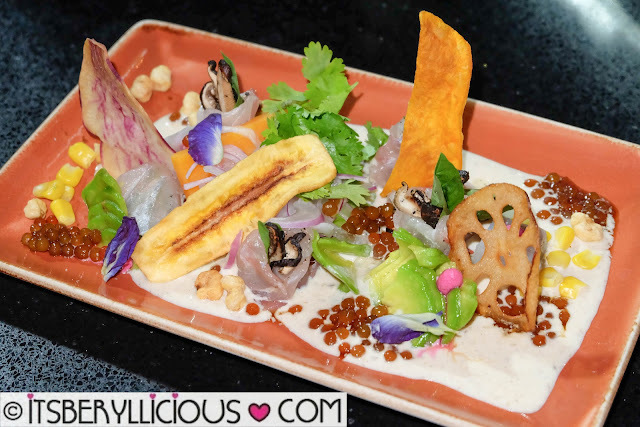 The highlight of this dish is the addition of truffle snow/powder that gives off an aromatic truffle scent in every bite. I personally found the appetizers interesting albeit redundant. 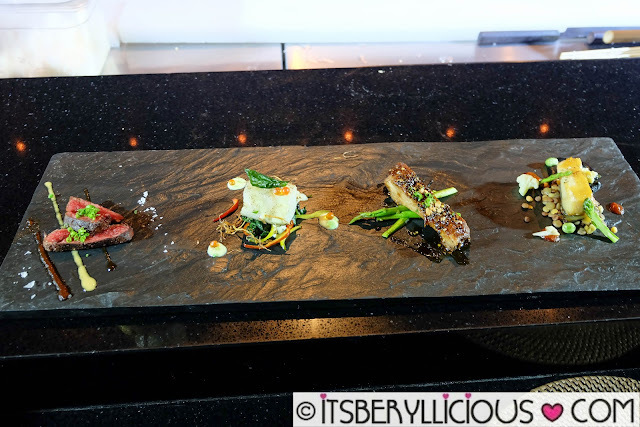 The dishes presented were almost identical, but I liked the play of textures and colors in every plate. 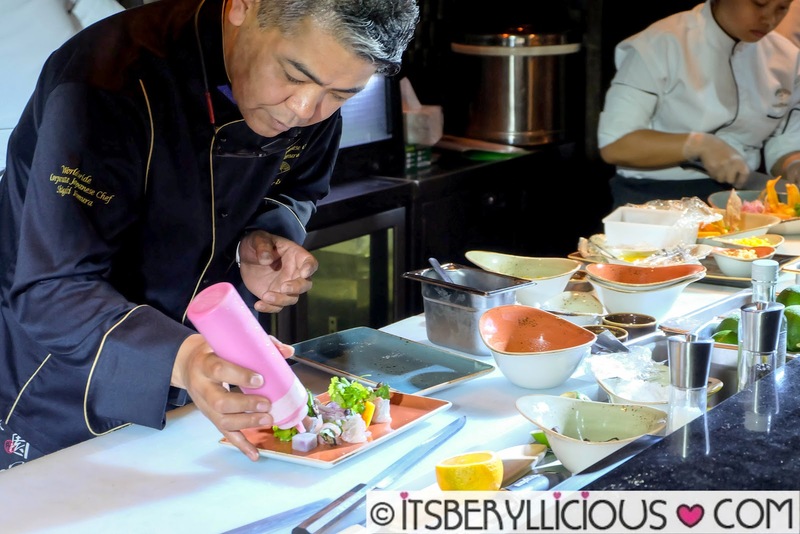 Chef Shigeki successfully showed what Nikkei cuisine is all about- the simplicity and freshness of Japanese food matched with the aesthetic elements and playful techniques of Peruvian cooking. For the main course, we had a sampler of the four entrees available on the special menu. 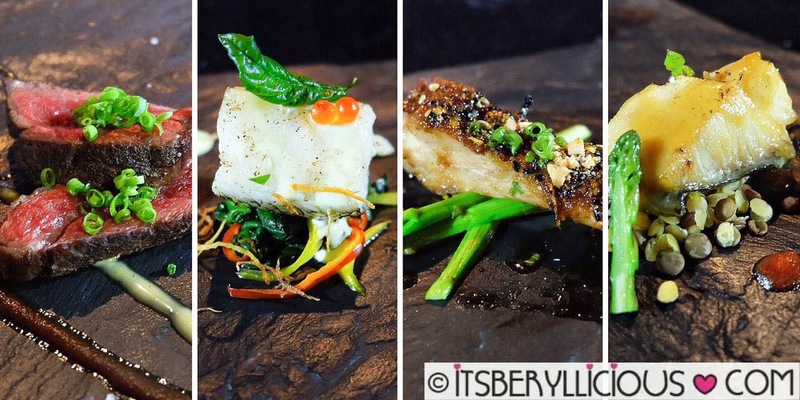 I personally enjoyed the main course as each dish had its own character and flavor. The steak was tender and perfectly cooked to medium-rare, while the pork rib was sweet, savory, and fall-off-the-bone. Both the fish were delicately tender, light, and fresh with a nice play of textures from the other ingredients. Apart from the main course, Chef Shigeki prepared a beautiful showcase of some classic and contemporary sushi and hand-rolled maki for everyone to enjoy. I loved the salmon aburi, soft shell crab maki, and other contemporary makis that we've tried. 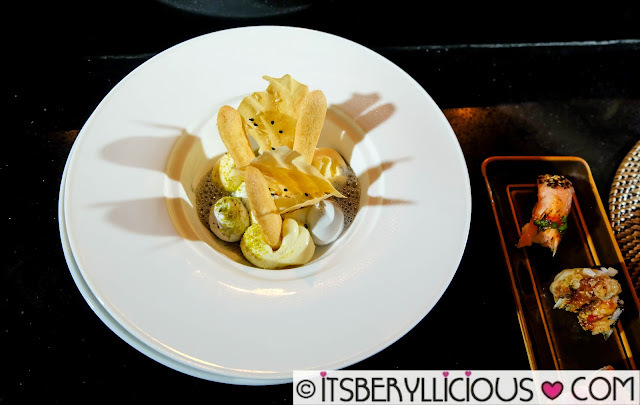 Our dinner ended with Chef Shigeki's Japanese Style Tiramisu (P290)- a deconstructed dessert of sesame, vanilla, lavender, and green tea mousse topped with crispy lady fingers and thin crisps. 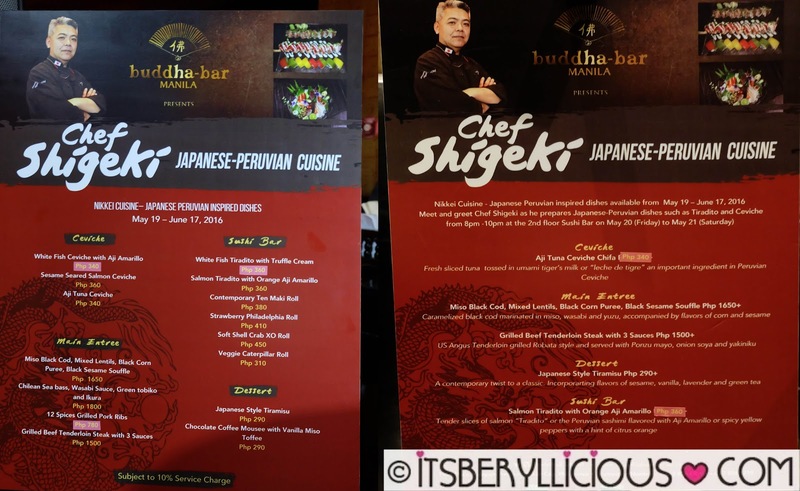 Don't miss out this opportunity to try Chef Shigeki Iimura's creations at Buddha Bar Manila until June 17, 2016. Dine and drive in luxury, and get a chance to win a brand new Maserati Ghibli with every single receipt purchase worth P5,000 until January 28, 2017.